clever disguise of having fun! 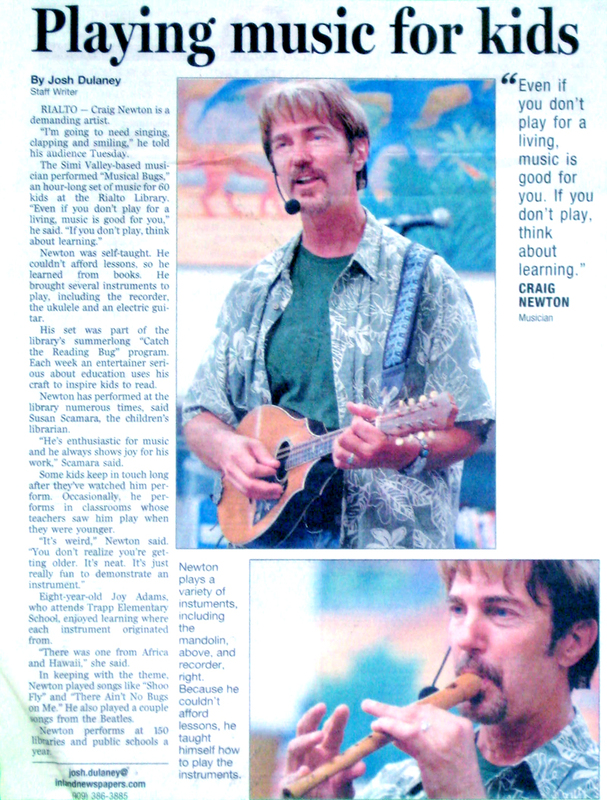 Singer-songwriter Craig Newton entertained a group of 32 at the Colony Park Community Center as part of the San Luis Obispo City-County Library’s free Summer Reading Program. 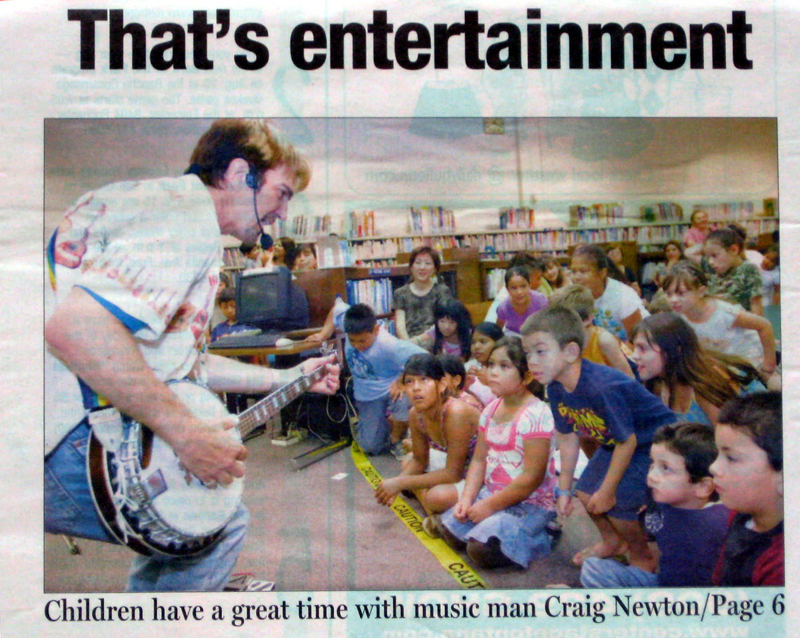 Children have a great time with music man Craig Newton. 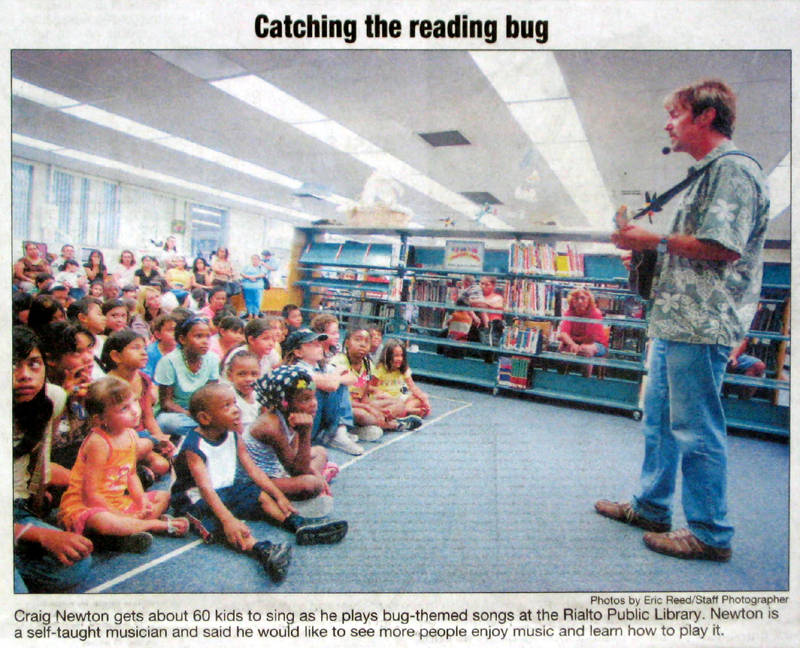 “He does the kind of songs that’s got us back here dancing and making fools of ourselves,” Pomona Public Library specialist laughingly admitted. 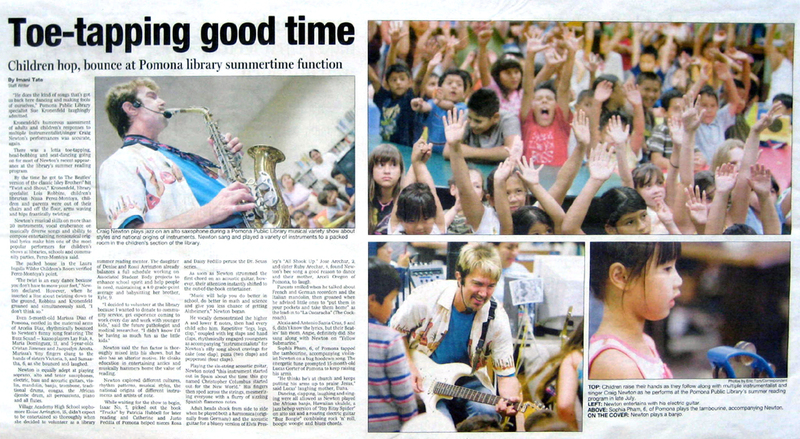 His set was part of the library’s summer-long “Catch the Reading Bug” program. 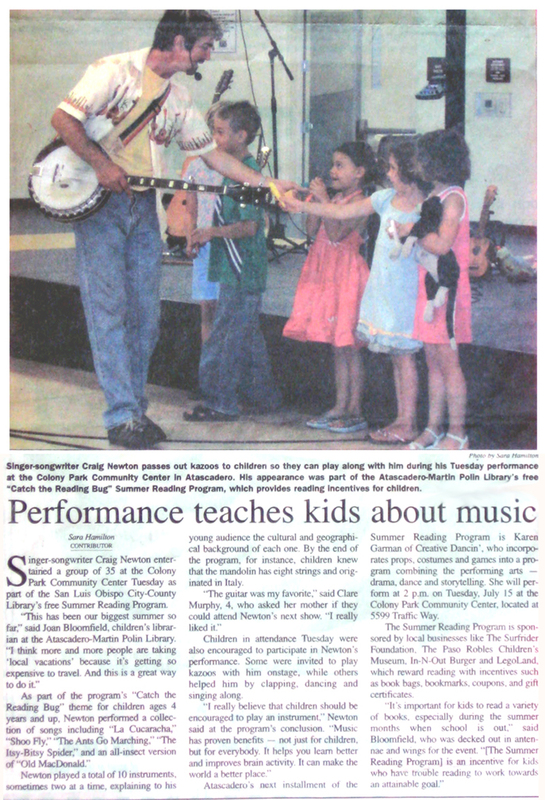 Each week an entertainer serious about education uses his craft to inspire kids to read.